Mobile platform for the introduction and cetereing the piles of sheets in the feeder. Maximum sheet format 1200 x 1000. 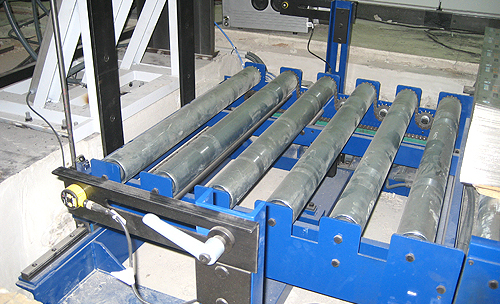 Possibility to center and move the rollers in automatic or manual mode.